“February 8, 2019 (LifeSiteNews) (News also released by Catholic News Agency) – Cardinal Gerhard Müller, the former head of the Vatican’s doctrinal office, has released a Manifesto which reads like a correction of many of the doctrinal errors Pope Francis has taught during his tenure as Pope…. …Pope Francis removed Cardinal Müller from his post as head of the Congregation for the Doctrine of Faith in 2017 after he had served in that capacity since he was appointed by Pope Benedict in 2012. 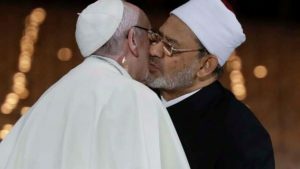 The manifesto was released in the wake of Pope Francis’ highly controversial joint document with an Islamic leader which says that “the pluralism and the diversity of religions” are “willed by God in His wisdom” – a statement many believe contravenes the Catholic Faith…. [STEVE’S COMMENT]: Two things everyone should do (in my humble opinion). 1. Read carefully the Cardinal’s manifesto to clearly understand Catholic truth and to be encouraged there are still Cardinals who know the truth. 2. Sign this petition in support of Cardinal Müller. This Manifesto goes to the very heart of the ambiguity and confusion caused by Pope Francis and his circle of advisers in the Vatican. Below is the rest of the LifeSite news article with links to the Manifesto and the Petition of support for the Cardinal. Here are a few of the pertinent points of the Manifesto, but read it yourself — which only takes ten minutes. 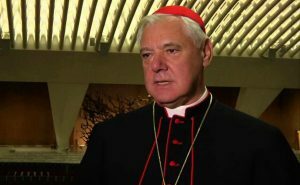 Lifesite News continues, “Providing clarity on the Church’s view of Islam, Cardinal Müller rejects the Muslim view that sees Christ as a prophet, rather than the Messiah. 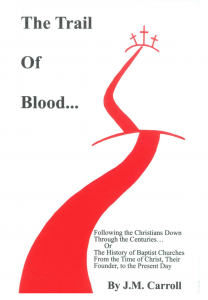 “We are to resist the relapse into ancient heresies with clear resolve, which saw in Jesus Christ only a good person, brother and friend, prophet and moralist,” the Manifesto says. Furthermore, Cardinal Müller also restates the inseparable link between the Faith and the moral law which needs to be followed “to do good and reach this goal [of promised blessedness],” and he points to certain parts of the Church’s moral teaching “which are often ignored today.” Here, he references several parts of the Catechism’s moral teaching “which may not be relativized” without quoting them explicitly. Read Cardinal Müller’s entire Manifesto in English. Download a PDF of the seven language versions here: English, Italian, Spanish, Portuguese, French, German, Polish. Sign the petition to support Cardinal Müller here.